Cinco De MayoOn Friday, May 5 come celebrate all things Latino with a potluck picnic starting at 6pm followed by gardening at 7pm. Why register? It allows us to advise you of last minute cancellations due to weather, etc. We’re using SignUp.com to organize our upcoming SignUps. 4) Remember to click the green SAVE button after you have selected your sign ups. 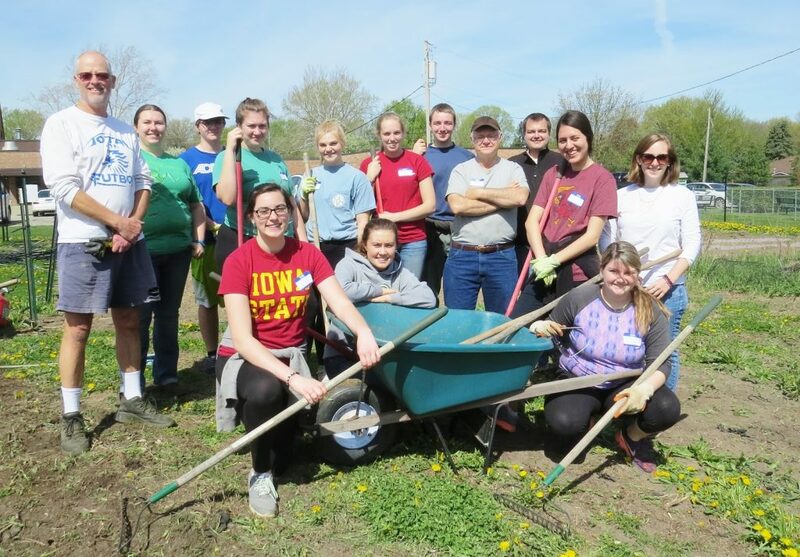 Potato Planting Now Underway – Students and faculty from Iowa State University and Dowling Catholic High School started planting potatoes on Saturday morning. We hope to have the potatoes all planted by the end of April. 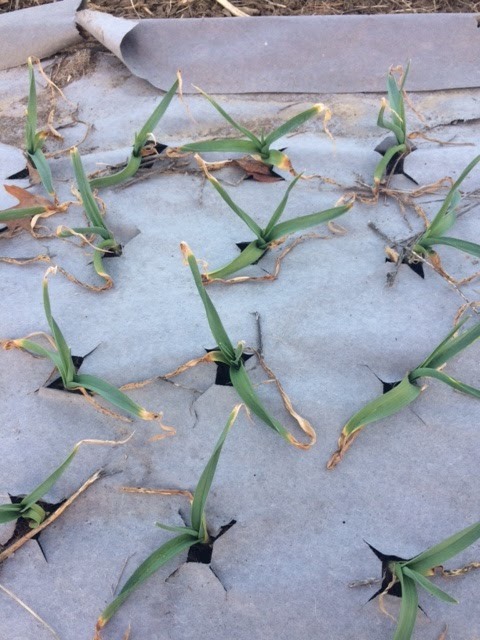 CITY OF WDM ENFORCEMENT ACTION: GOOD BYE HIGH TUNNEL! Our high tunnel has been fixture in the garden for the past five years. 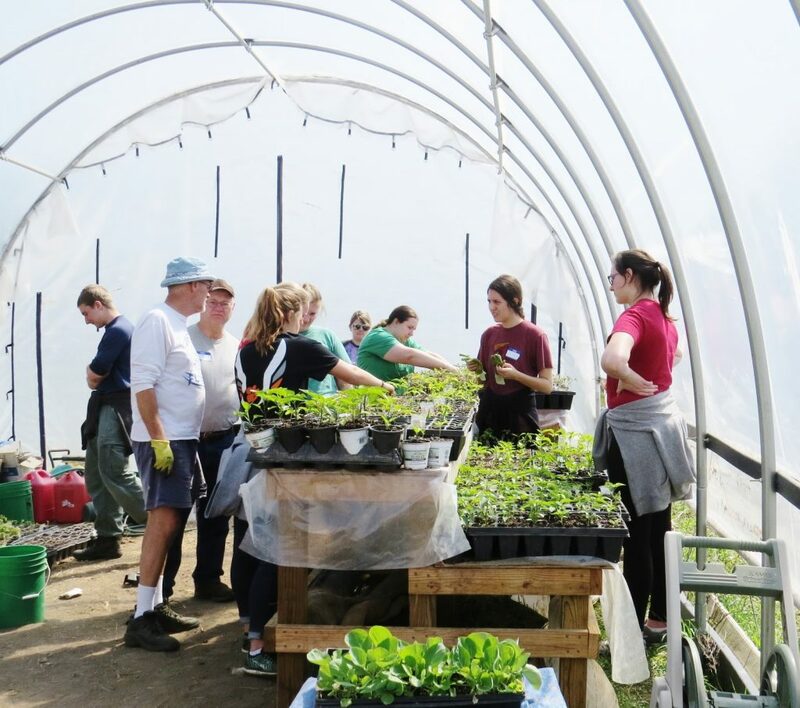 We use the high tunnel to start plants in the spring and to extend the growing season in the fall. The City fire code views the high tunnel as a tent (sort of like those grocery store garden centers that pop up in the spring) which must be taken down during the off season). We realized once the high tunnel was first erected that it could not come down without impairing its structural integrity (the ability to withstand high winds). So after many discussions the high tunnel is coming down by June 30. Hello Greenhouse – We are how considering the addition of a greenhouse as a permanent structure to the garden. While more expensive than our high tunnel it can provide many additional benefits including City approval. On Friday, May 5 come celebrate all things Latino with a potluck picnic starting at 6pm followed by gardening at 7pm. On June 3 from 4pm until dark we will be celebrating the diversity of our natural world and humankind. 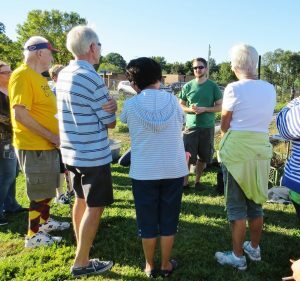 Through the lens of garden activities we will bring people of diverse backgrounds together to see how nature thrives on diversity through the interaction of soil, plants and people. There will be activities for people of all ages followed by a potluck supper and brief program. Bring your family and friends. Saturday looks like it will be our first volunteer day in the garden – sunny and warm (for March). A great day for spreading mulch! We will be in he garden from 10:30am-Noon on Saturday. Let’s Get a Jump Start on Growing the Food! Just because it’s winter in Iowa, doesn’t mean you can’t get your garden going. 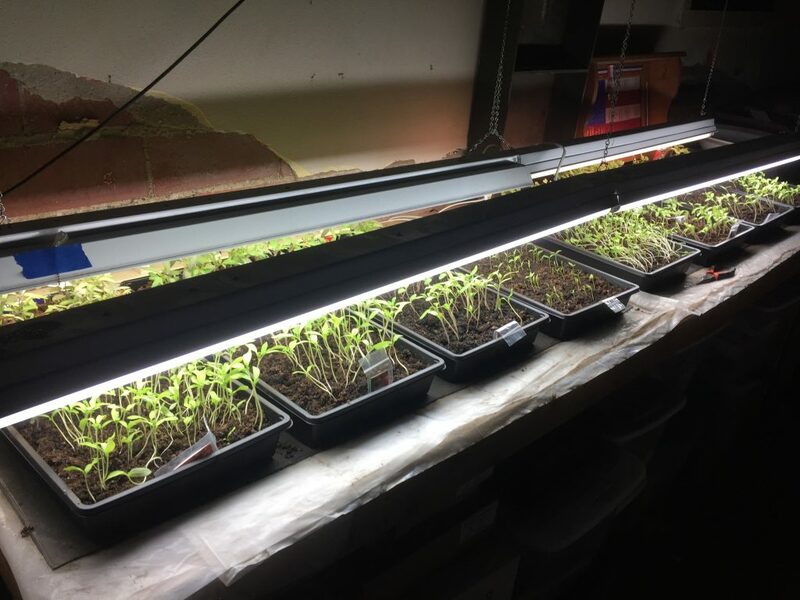 All it takes is some seeds, seed starting mix, some seed germinating plastic trays, heat mats, florescent lights/fixtures and common jack chain. 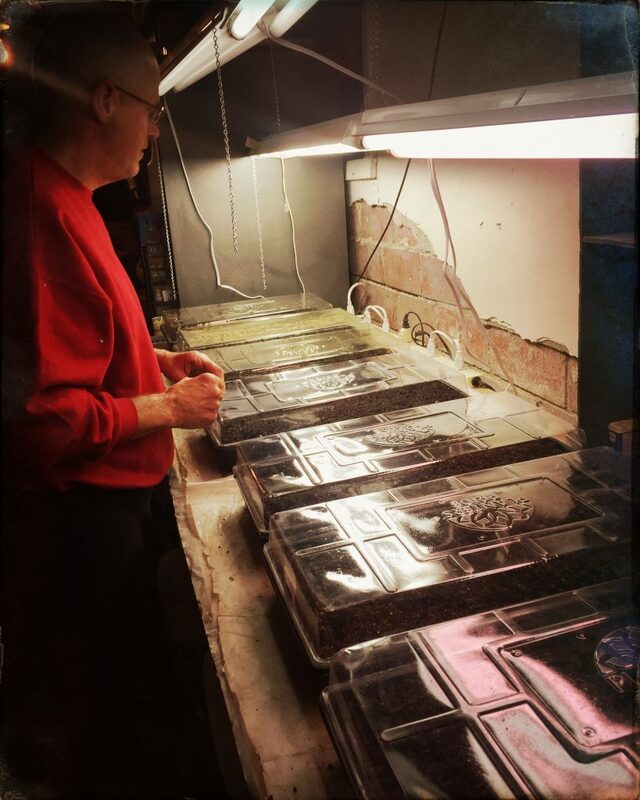 From our Master Gardener Mark Marshall: To get your seeds started, fill your germinating trays up with seedling potting mix about 80%. We’ve found that seedling potting mix is expensive. It’s cheaper to make your own. All you need is 4 parts sphagnum peat moss, 2 parts manure compost, 1 part vermiculite, and 1 part perlite. Mix together with warm water and place into your plastic trays. 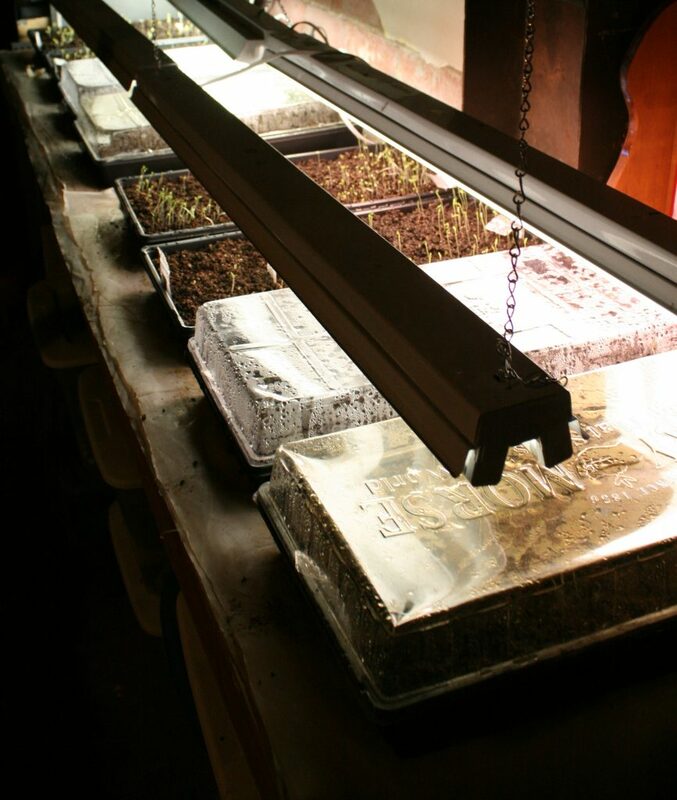 Next, drop your seeds and cover them with moist soil and cover with your germinating tray lids. Place your trays onto heating mats. 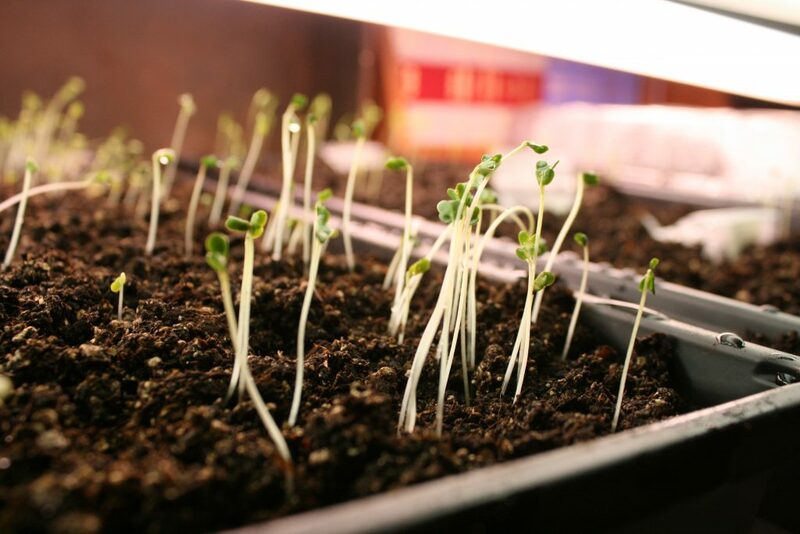 As soon the the seeds germinate and start growing, remove the covers and turn on the lights and set them a few inches from the soil. As your plants grow, raise your lights and keep the plants from touching the bulbs. Water daily or every other day depending on the soil moisture and spray liquid calcium on the plants regularly. As your plants get bigger and the weather gets warmer, transplant into larger pots. Garlic planted last fall is already up and 3 inches. Usually we do not see garlic shoots like this until April. Picture taken earlier today. 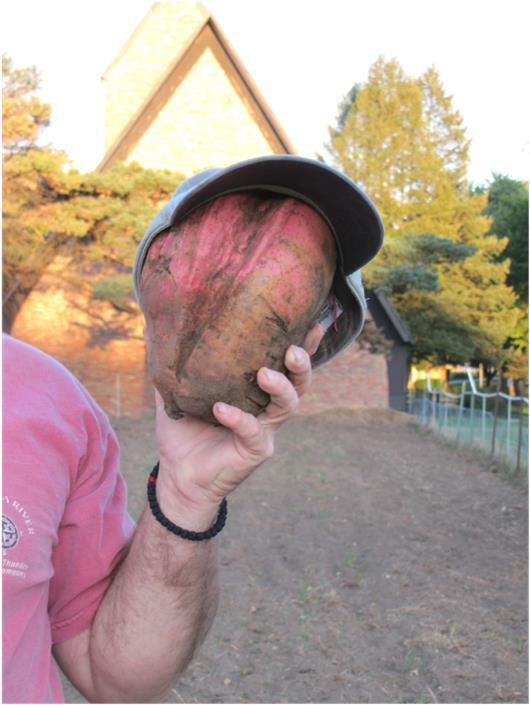 Each year the Faith & Grace Garden buys 500 extra sweet potato starts to share with local donation gardens (school, faith or community) at no cost. If you would like to reserve some starts for your garden, please reply to this message. Let us know how many you need and we will let you know when they will be ready for pick-up which will be later this spring. This is a wonderful opportunity to network with other gardeners and to about learn anti-hunger initiatives from a spectrum of local experts. 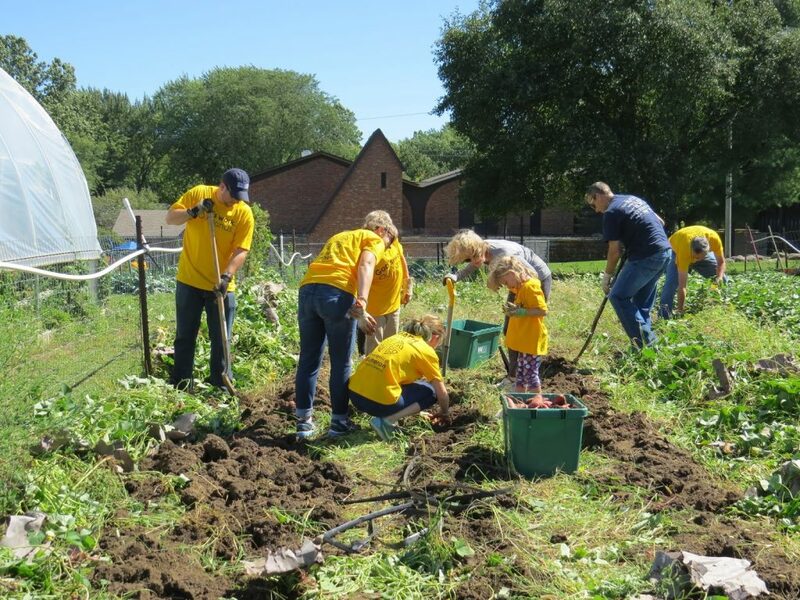 Who volunteered in the garden in 2016…. What we grew in 2016……. Where it went in 2016……. 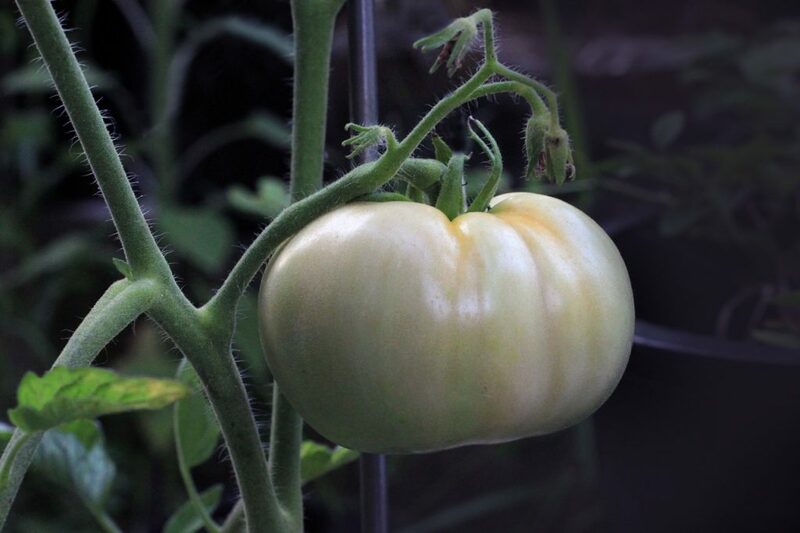 As the first succession of tomato plants dwindles, many green tomatoes are still juicy and “ripe” for picking. Green tomatoes make for incredible eating. In addition to the beloved fried green tomatoes, you can use their rich, tangy flavor in a wide range of stews and sautes and roasts. Find some recipes here and here. 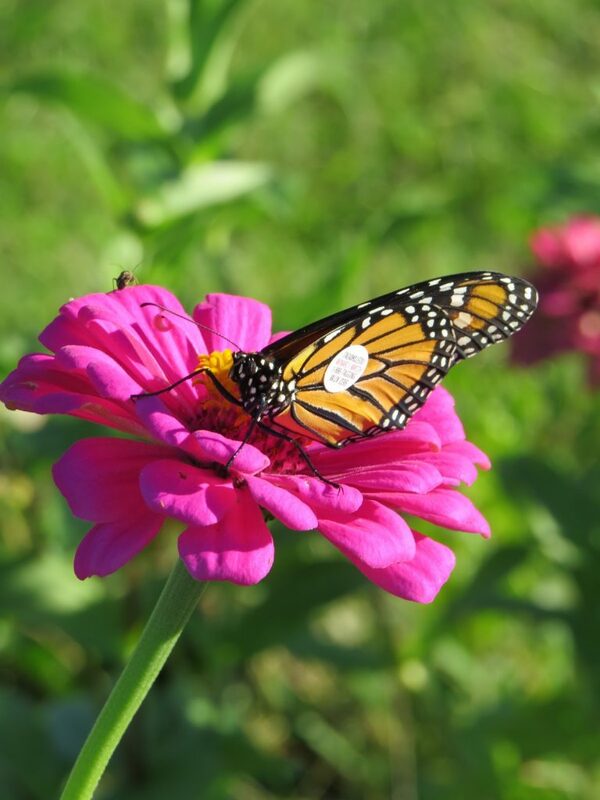 Harvest Celebration – Truly a Joyous Occasion…So just how do you tag a Monarch??? 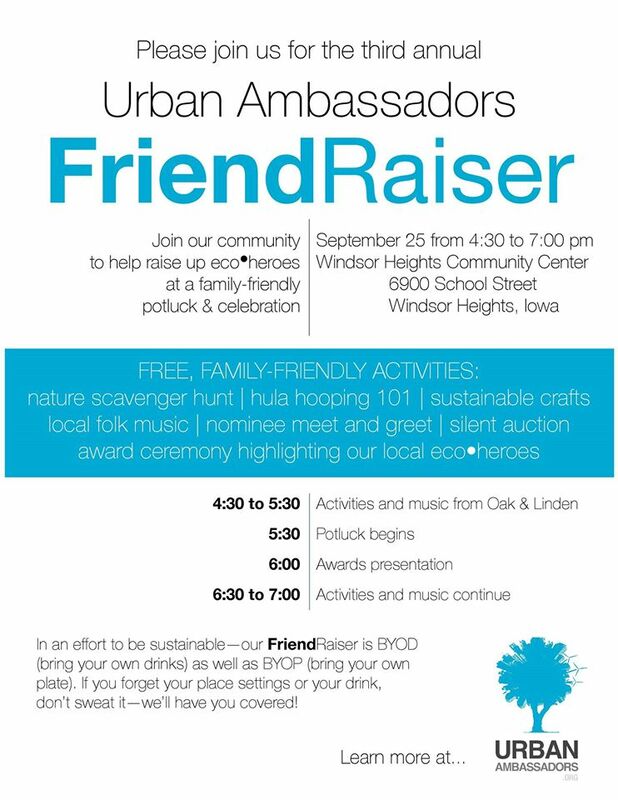 Many thanks to the Whole Foods WDM Store for their support of this event and especially employees Amanda and Nicole for volunteering their time and energy at the celebration!! Wonderful weather combined with good friends, good food and fun activities to make the Harvest Celebration on Saturday a wonderful event. We dedicated our new pollinator garden, tagged monarchs, and ate some great food. 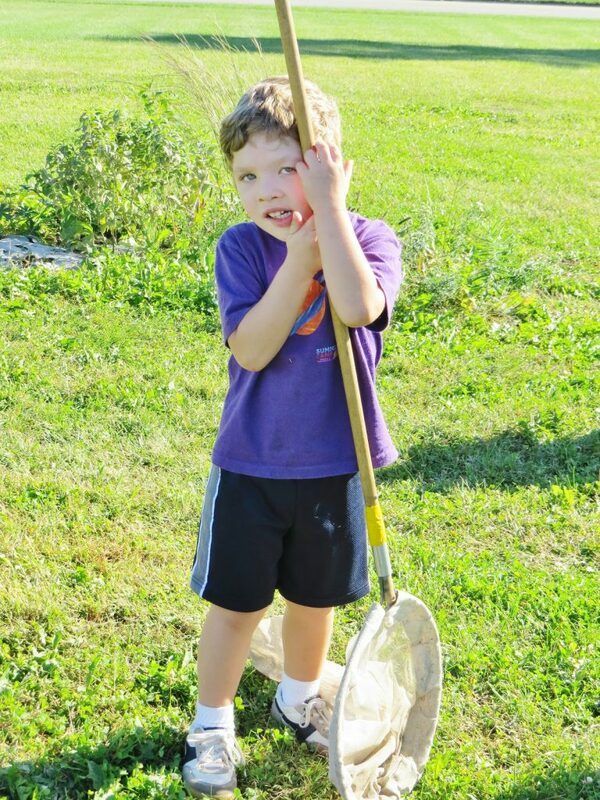 Step 1….Catch a Monarch. This is hard to do. They can fly really fast and high!! We were fortunate and caught 4 Monarchs on Saturday. Step 2. Record information about the Monarch. 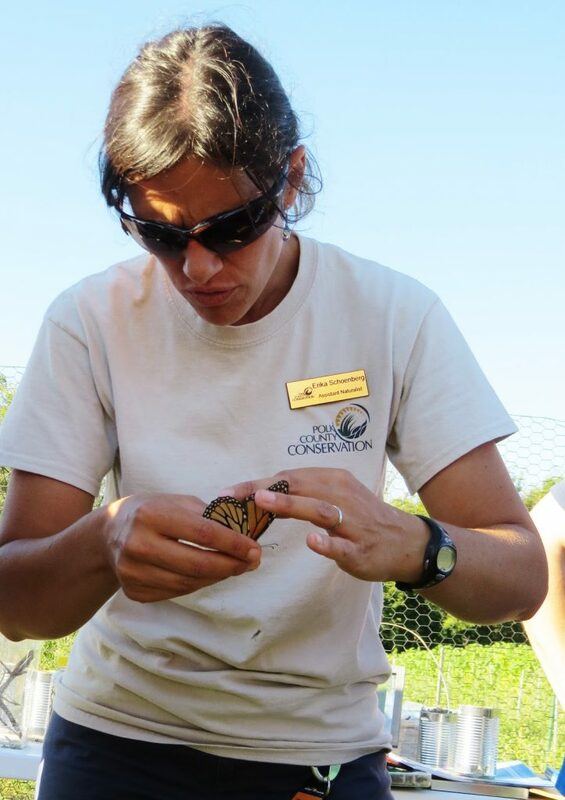 We were fortunate to have Erika Schoenberg of Polk County Conservation help us record information and then tag the monarchs. 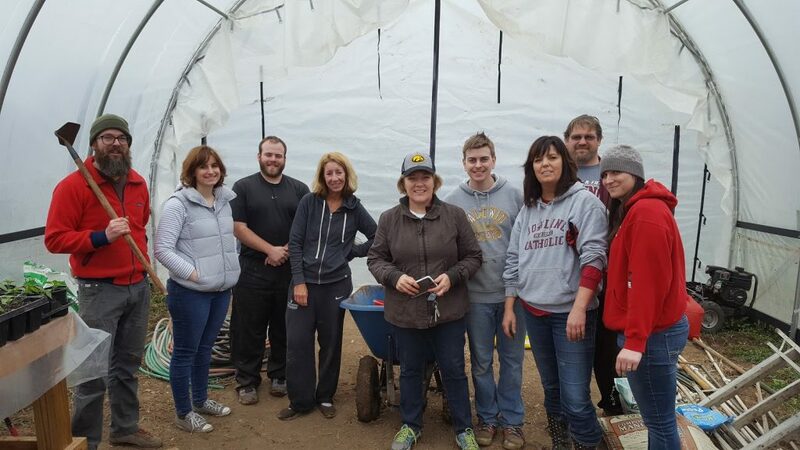 A Big, Fat Thank You to All 24 Volunteers from Faith Lutheran for Digging Potatoes on Sunday!! They harvested about a ton of potatoes in 2 hours! Nearly a ton of white potatoes and sweet potatoes were dug up and boxed for shipment to food pantries. 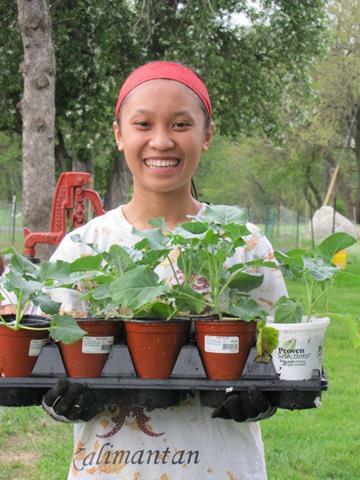 Meutia, a Valley High School foreign exchange student four years ago, sent a message last week to say how much she loved her time as a volunteer in the Faith & Grace Garden. 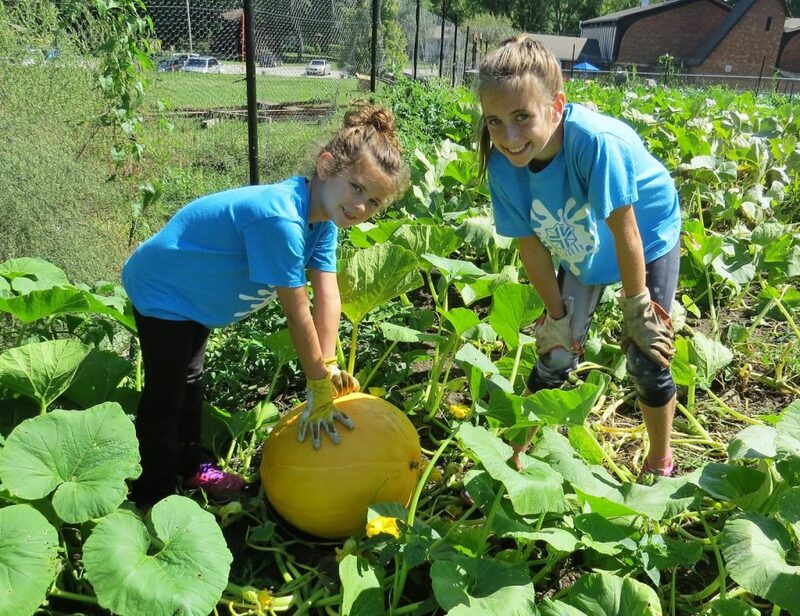 She said her time in the garden and experience as a Wallace Foundation Real Soil, Real Food, A Real Difference summer camp Scholarship Winner are fond memories that are still shaping her future. Meutia is now back home in Indonesia majoring in Food Technology at Surya University. Meatia would like to return for visit to the garden and possibly pursue graduate studies in the US. 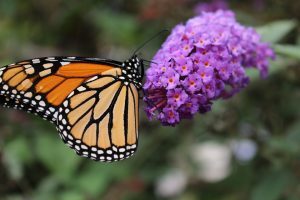 Join us on Sat., Sept. 17, for a wonderful late afternoon get-together starting with a dedication of the pollinator beds at the Faith and Grace Garden followed by a demonstration of Monarch Butterfly tagging by the Polk County Conservation Commission. Then join us for dinner featuring fresh produce from Whole Foods and the Faith & Grace Garden. Choose from two unique homemade lasagnas, a delicious compliment of fresh-grown sides, and your choice of dessert! 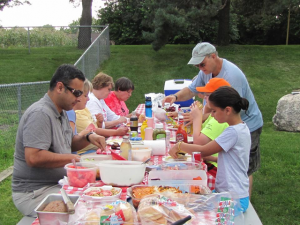 Butterfly Tagging: 4:30-5:30pm; Harvest Dinner: 5:30-7:00pm, at Covenant Presbyterian Church, corner of 28th Street & Ashworth Rd, West Des Moines. 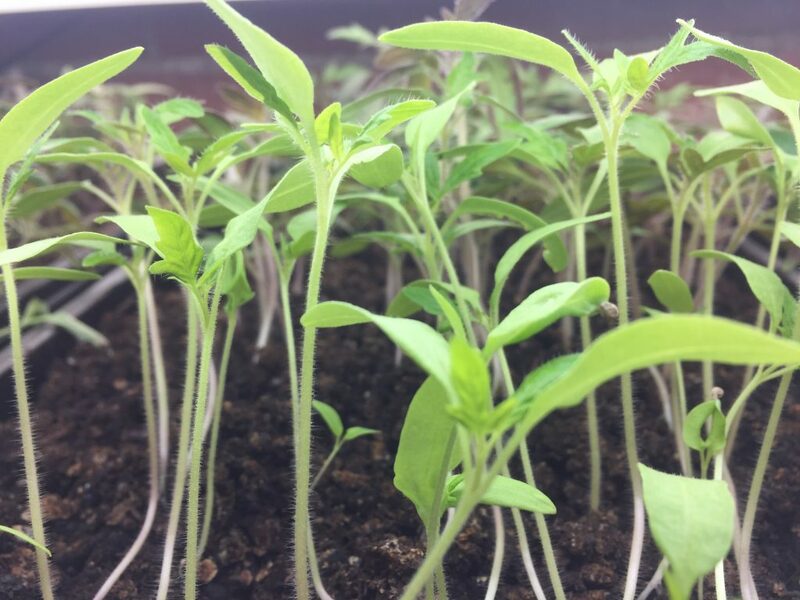 The Soil Science Society of America created a blog, Soils Matter, to help the public understand this precious natural resource. The blog can be found here . Congratulations to Nathan Dickerson, Eagle Scout! Nathan was awarded the rank of Eagle Scout in a ceremony on September 5. Nathan’s Eagle project was building shelving in the garden high tunnel. 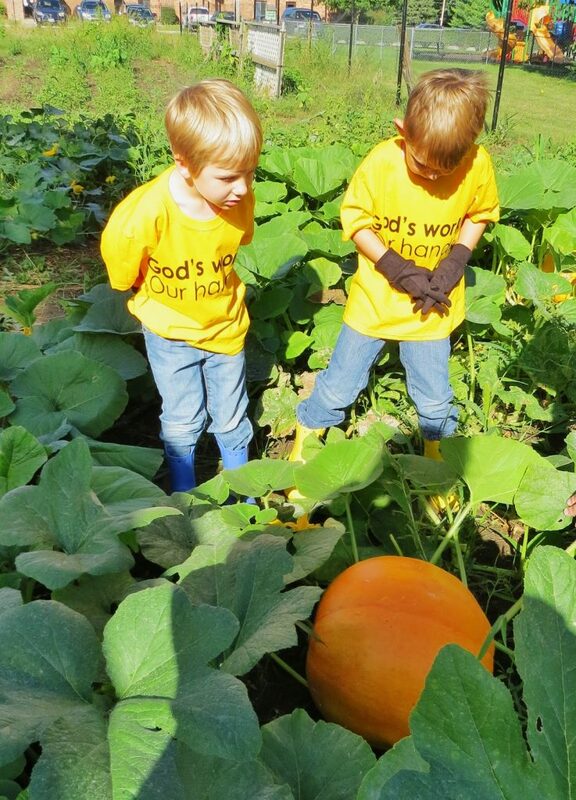 If your church or community organization is affiliated with a scout troop, please let them know that the Faith & Grace Garden is a great source for Eagle projects. Contact Tim Goldman for details. Are you interested in sustainability? 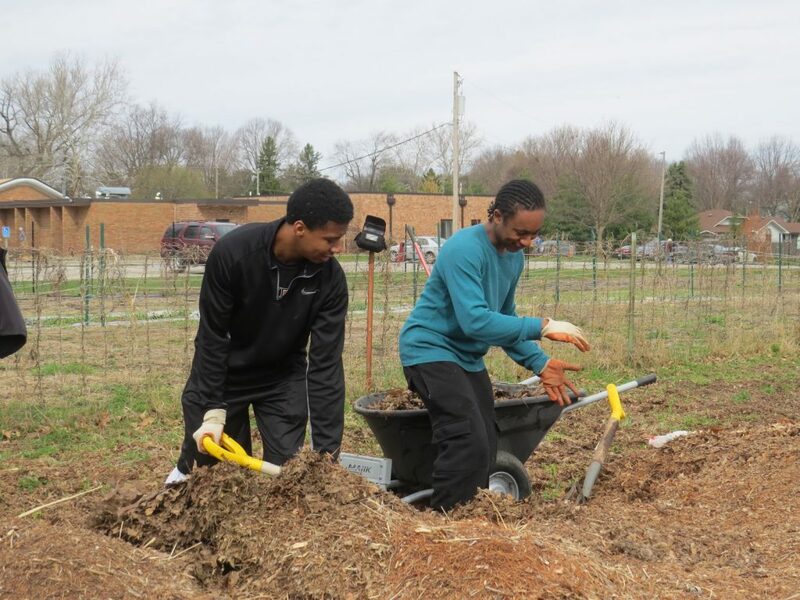 The goal of Urban Ambassadors is to grow our green network in Des Moines.